Today through 4/11 you can get a FREE Ream of Copy Paper (500 sheets). Take this printable coupon, grab the paper and then submit for a Easy Rebate to get the rest back. Limit one rebate per household. 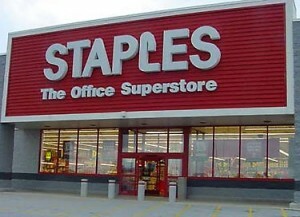 This is valid on: SKU 135855, Staples® 8.5? x 11? copy paper, 500- sheet ream.